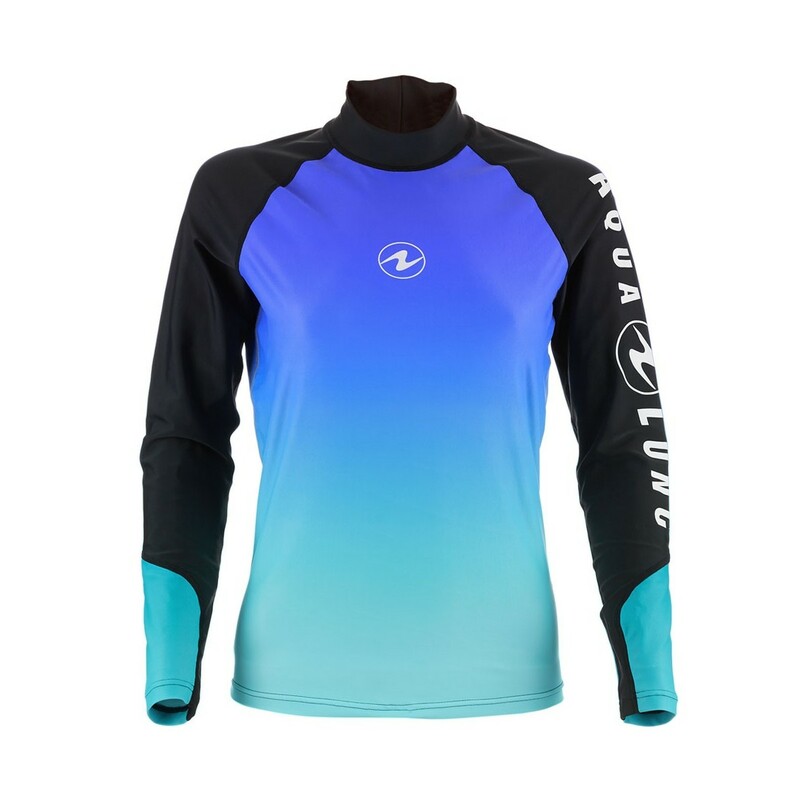 These brightly colored Aqua Lung Rashguards combine versatile functionality with a fun ombré-style print. 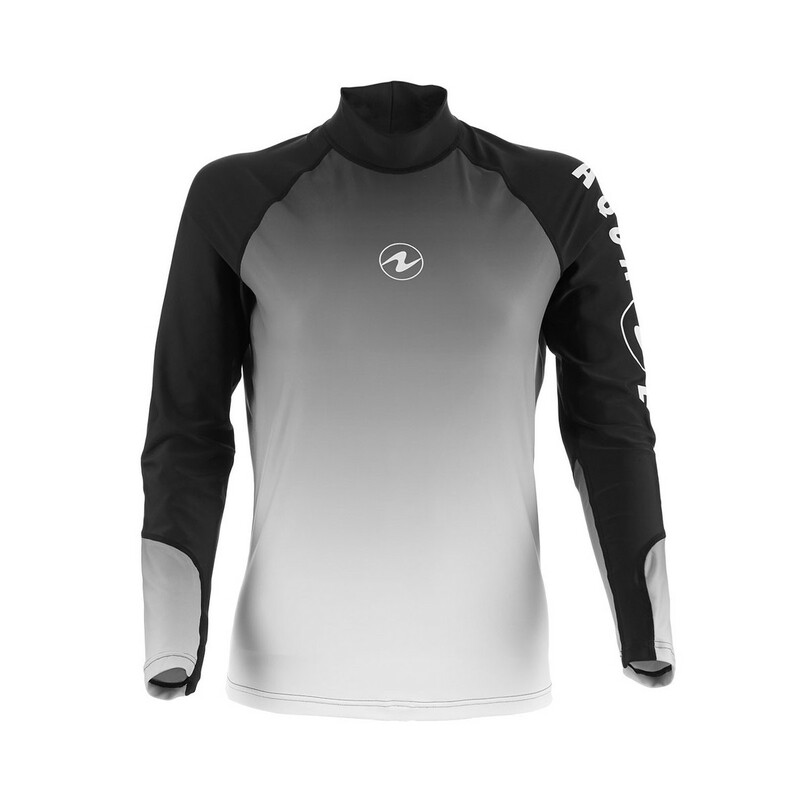 The athletic style can be worn alone or under your wetsuit. 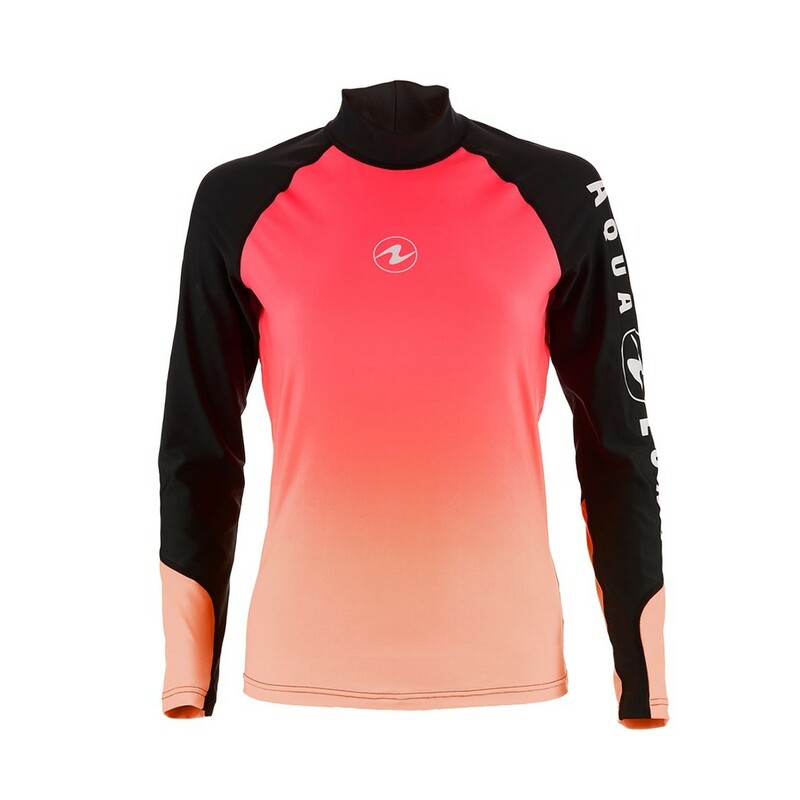 Soft and lightweight, our rashguards provide a comfortable, form-fitting SPF 50 barrier to help protect you from sunburns from above and stings from below, both in and out of the water. 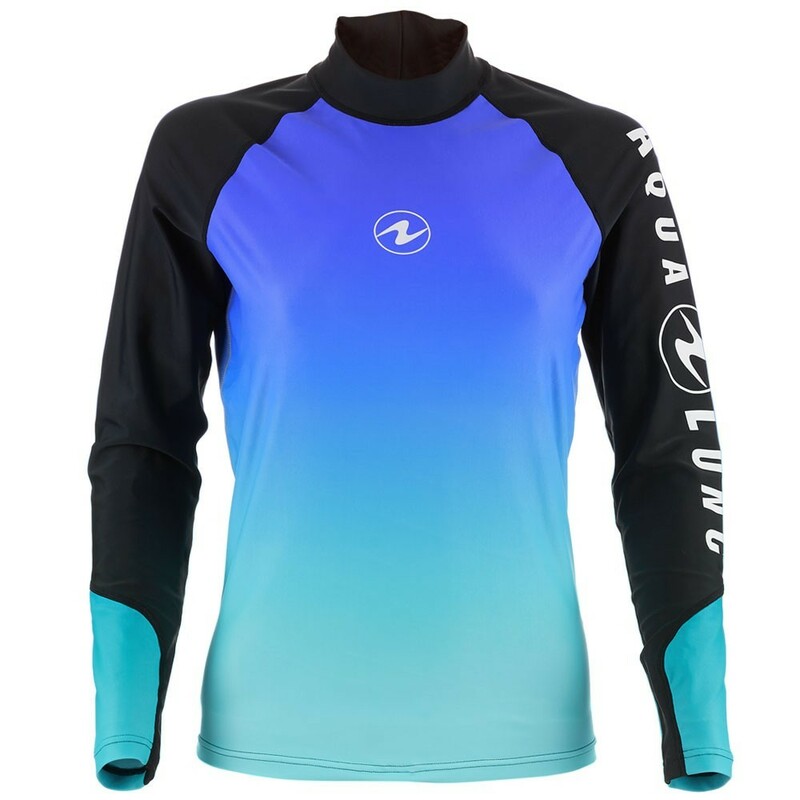 • Aqua Lung's rashguard fabric is made from 80% polyester/20% Spandex. The polyester helps keep colors fresh and bright. 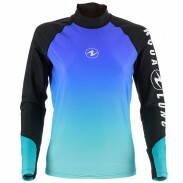 • All rashguards are SPF 50, offering the maximum protection against UV. • Athletic fit is adapted to diving and watersports; the back is longer than the front and has a loop stitched on the front to attach the string of the board short or a men's swim suit. • A small collar protects the back of the neck from friction when snorkeling or diving in warm water and helps to hold in warmth when used as undersuit. • New printed fabric with eye-catching color gradients.